your service! Not a word many people can relate today." "I recently sold my house myself through the use of an on line service. Initially, I had contacted a friend in real estate who gave me an estimated market value based on recent sales in the area and estimated square footage. I factored in what I understood my neighbor had received for his similar house and what I understood the house across the street had sold for 16 months earlier. I was comfortable listing my house at $239,000. After 2 months I had several inquiries, a few lookers, but no 2nd visits and no offers. I then decided to get a professional appraisal. From this I learned that my neighbor’s house had sold for $10K less than I had been led to believe. I also found that my finished basement did qualify as gross living space. My formal appraisal came in $14K below what I was asking. Given this information, I lowered my asking price by $10K. This made my price much more attractive and still provided me with room for negotiation. I immediately experienced increased activity. My house sold less than 3 weeks after I received the appraisal. Since most sales contracts include a clause releasing the buyer from the contract if the house does not appraise for the sales price, it serves no one’s purpose to list a house significantly above the appraised value. I was able to list my house with the confidence that my sales contract would not be in jeopardy. I was also able to provide the appraisal to the buyer who was then able to receive a fast appraisal at half the normal cost." "Even though we had a listing price in mind, getting the appraisal prior to listing gave us confidence that we are pricing our house right. We appreciate your professionalism and timeliness in completing our appraisal. Thank you." 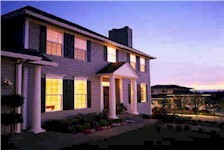 "When we decided to place our home for sale by owner we were very uncertain about the asking price. We contacted Tom Horn about providing us with a market value appraisal. As it turns out the price we were initially planning to set would have been thousands below the market value. Tom’s appraisal not only helped us set a higher price but also gave us confidence in that price. We had a contract on our home within 2 days at the full asking price." Copyright ©2005 APPRAISAL-SOURCE.COM. All Rights Reserved.